Montserrat mountain is home to the Basilica de Montserrat and Montserrat Benedictine abbey. The abbey is called "Monasterio de Santa María de Montserrat" and in the Catalan language "Monestir de Santa Maria de Montserrat". Montserrat is one of Barcelona and Spain's most famous tourist attractions with breathtaking scenery, unique rock formations, panoramic views and 1000 years of legend, culture and history. Montserrat is home to the "Santuari de La mar de Déu" the "Sanctuary of Our Lady of Montserrat" which is one of Spain’s most famous Benedictine monasteries, the Monestir de Montserrat and home to the famous Black virgin of Montserrat. 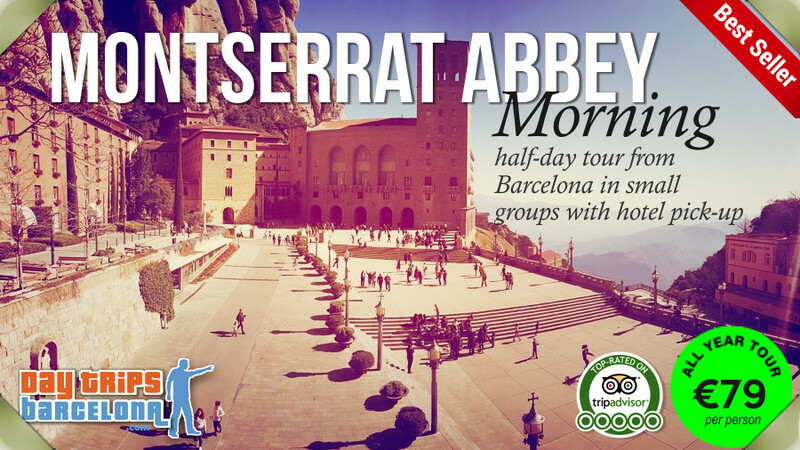 The Montserrat monastery has a history spanning almost a thousand years since it was founded in 1025 by Abbot Oliba. 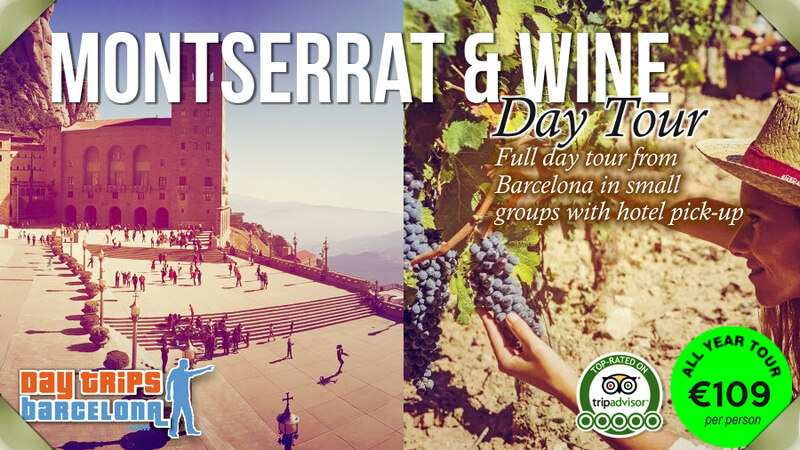 Montserrat is just one hour from Barcelona and is visited by millions of travellers and pilgrims each year. Montserrat monastery is also a location in bestselling author Dan Brown's new book 'Origin' publsihed in October 2017. Montserrat Monastery seen from the Funicular de Sant Joan, which is one of the two funicular trains that are at the monastery area. This funicular railway gives visitors a spectacular panoramic view of Montserrat, 1,000 m above sea level. St. Michael's cross. Cruz de San Miguel at Montserrat. From here there are beautiful views towards the Monastery, of the Bages plain and the Pyrenees and towards Barcelona city and the Mediterranean sea. The Basilica de Montserrat monastery is home to the famous Montserrat black virgin sculpture called "La Moreneta" La Moreneta is 12th century wooden sculpture which is venerated for her healing powers and miracles. One of the popular things to do on visit to Montserrat monastery is to hear the Montserrat boys choir sing. The Montserrat boys choir is one of the oldest boys’ choirs in Europe. It is called the "Escolania de Montserrat. The boys choir sing in the Basilica from Monday to Friday at 1pm, when they sing two pieces, the Salve and the Virolai which takes about 10 to 15 minutes in total. It is a good tip to be inside the church 30 minutes before they sing in the winter and 45 minutes before in the summer. The boys choir does not sing on Saturdays and they do not sing on Spanish school summer holidays which are from end June to mid September or during Christmas school holidays. The boys choir sings at 11.00 for mass on Sundays. A couple of times a year the boys choir are on tour. The "Santa Cova de Montserrat" chapel is perched on the mountain side of Montserrat. Legend has it that the Virgin of Montserrat sculpture was found here by shepherd boys in the 9th century. They found the Virgin of Montserrat in the cave behind the Santa Cova chapel. It is possible to visit the Santa Cova, but the present Virgin of Montserrat sculpture is in the basilica and not in the Santa Cova. Montserrat is home to the "Santuari de La mar de Déu" the "Sanctuary of Our Lady of Montserrat" which is one of Spain’s most famous Benedictine monasteries, the Monestir de Montserrat and home to the famous Black virgin of Montserrat. The Montserrat monastery has a history spanning almost a thousand years .It was founded in 1025 by Bishop Oliba, Abat Oliba, who was the first Abbot of Montserrat. Montserrat mountain has many amazing rock formations and almost all of them have names. The Elephant rock on Montserrat mountain is perhaps the most famous rock on Montserrat because of its natural shape of an elephant head and trunk. Montserrat church is usually full for the daily performance at 1pm of Salve and Virolai by the boys choir "Escolania de Montserrat." The boys choir does not sing during school holidays and on Saturdays. The peculiar conglomerate rock that forms Montserrat mountain. The monastery area has a free shuttle bus for people with limited mobility which starts from around 10am. There are three train stations by the monastery. The "Cremallera de Montserrat" is the rack railway train from the valley up to the monastery area. The "Funicular de la Santa Cova" and "Funicalar de Sant Joan" are funicular mountain trains to different locations on Montserrat mountain. Montserrat is a popular location for climbers. There is a small camp site for climbers and hikers near the monastery called "Area Esportiva i D'Acampada." See if you can spot the two climbers above on this picture? Can you see the Sant Dimes hermitage wedged between 2 rocks?